End of lease agreement is like a Pandora’s Box. You have to relocate to a new place. But, the old property needs to be spotless as well. Bond cleaning Brisbane is a key task. All your bond money depends on it. Move out cleaning Brisbane is always done at the eleventh hour. Finding a good bond cleaning agency is difficult. Always hire people who are expert at exit cleaning Brisbane. For any end of lease cleaning, Brisbane contacts Sunshine Eco Cleaning Services. For bond cleaning services in Brisbane why you should hire Sunshine Eco Cleaning Services? Professional end of lease cleaners: We are at the end of tenancy cleaning industry for more than 12 years. 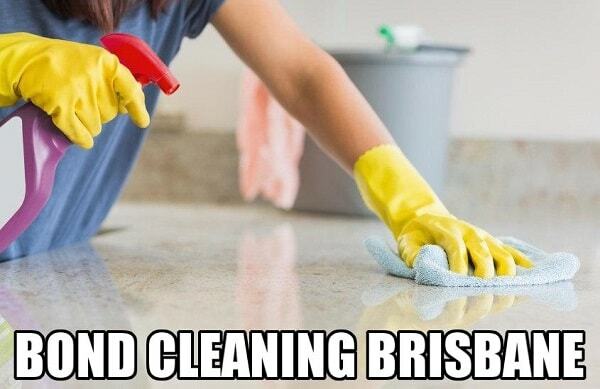 Our bond cleaning Brisbane team is well skilled. They know all the aspects of cleaning. You will not be fooled by us. For any move out cleaning Brisbane, we understand your needs first. Then after examining the property, we tell you the best solution. We don’t look for a temporary fix. Our cleaning experts will tell you the optimum solution so that the problem does not reappear. Trained bond back cleaners: The cleaning staff is not simply hired and sent to you. Each employee before going for bond cleaning services Brisbane undergoes several months of training. They pass written and practical tests. Only after this, they are sent for field visits. All bond cleaners in Brisbane undergo monthly review sessions. Here they learn about any new tools used for exit cleaning. Record checked: All staff at Sunshine Eco Cleaning Services is checked for the crime. No one has any records. This means you are safe in presence of our staff. There are no temporary workers. All employees are on the company payroll. Our cleaning specialist provides the most professional bond cleaning Brisbane. Multiple cleaning services: We take cleaning for both homes and offices. You can hire us for regular services on a weekly, monthly or annual basis. Our professional cleaners can also help with end of lease cleaning. We do the cleaning of appliances like refrigerator, oven, barbeque etc. While cleaning home or office, we do clean roofs and windows as well. We are happy to take any work big or small. You can always rely on Sunshine Eco Cleaning Services. Bond back Guarantee: We know your bond money is precious. Do not fall prey to any cheap bond cleaning services in Brisbane. Many bond cleaners in Brisbane just make money from you and leave. However, we guarantee that you will get your bond money back. Our end of tenancy cleaning services are superior and no one can match them in Brisbane. Well-equipped end of lease cleaning experts: Our company is the known for best bond cleaning Brisbane. There is a reason for this. The cleaning staff is well equipped with machines and tools for move out cleaning Brisbane. They have the latest machines and environment-friendly cleaning agents. By this, we ensure we do the best without consuming too much time. Timely move out cleaning services: When it comes to an end of tenancy cleaning Brisbane, you are under pressure. We do not add to it. With other bond cleaning companies in Brisbane, you will have to follow up a lot. Their cleaning people may not report in time. But when you hire Sunshine Eco Cleaning Services, you can relax. We have 100% on-time rate. Our cleaners are tracked via GPS. They do not take long or frequent breaks. When we take the job, we give you an estimated time. Normally, we will finish the work in the given time frame without any compromise on quality. Quality Checked: Every job, once done is checked by our senior bond cleaner. For an end of lease cleaning services Brisbane, we double check so that no loopholes are left. After all, your bond money depends upon this. Exit Cleaning Consultation: Many times, you just cannot decide. Can a particular cleaning job be done by yourself or you need an expert help? If you are in a dilemma, just contact us. Our support staff is trained to understand all problems related to residential or commercial bond back cleaning. They can help you pick the right option. There are no charges for this. Insured End of lease cleaners: All experts are fully insured. Though the team is vigilant accidents do happen. In case of any injury or accidents, we are fully covered. Any property damage is also covered by us in the process of end of tenancy cleaning Brisbane. For any bond back cleaning Brisbane, always hire a professional bond cleaning company in Brisbane. At Sunshine Eco Cleaning Services, customers are first. We work until you are 100% satisfied. This is the reason that we have a huge customer base of over 500 clients. We have touched almost every house and office in Brisbane. what are the bond cleaning rates in Brisbane or How much you pay for end of lease cleaning services in Brisbane? The amount of bond cleaning depends on various factors like size of property and cleaning involved. If you compare the bond cleaning rates in Brisbane, you will find us the lowest. Our bond cleaning packages in Brisbane starts with as low as $199 AUD. 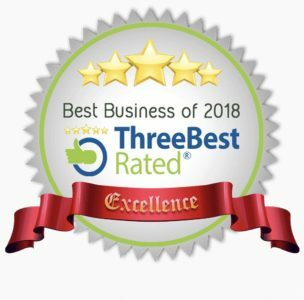 Just because our end of lease cleaning rates is sounding lower doesn’t mean we use low-quality products or provide low-quality end of tenancy cleaning services. With Sunshine Eco Cleaning Services, you are going to get best quality bond cleaning services at the best price in Brisbane. Also, we give bond back cleaning quotes Brisbane in the beginning. This does not change after the work. There are no hidden or surprise charges. How to book our bond back cleaners in Brisbane for professional end of lease cleaning services? Our end of tenancy cleaning Brisbane team works all the 7 days. So, you can book an appointment as per your convenience. It is always better to book us. But at times you may have urgent requirements. And we understand that. We can accommodate any urgent or same day cleaning as well. The good news is, there are no extra charges for same day cleaning too. Sunshine Eco Cleaning Services has the biggest bond cleaning team in Brisbane. None of the end of tenancy cleaning experts are double booked on a day. When our staff comes to you they have all energy and zeal for work. They are never in hurry to finish and go to next client. For any runtime requests also, please feel free to ask them for assistance. Or just visit our booking page and complete your details. Soon, one of the representatives will get back to you with bond cleaning quotes in Brisbane. It is the time that you stop worrying about bond cleaning Brisbane. Let the best people take care of it for you. Always hire Sunshine Eco Cleaning Services for sparkling shine end of lease cleaning at real low prices. Sunshine will make your home shine!! For quality & affordable cleaning services call the experts on 044 966 4277. Enquire Now! We offercomplete house cleaning & Commercial Cleaning including window cleaning & carpet cleaning in Sunshine Coast, Brisbane, Sydney, Adelaide and all across Australia.